The new year is a time of change as well as growth. It’s a time to reflect on where you’ve been and to look forward to where you’re going. 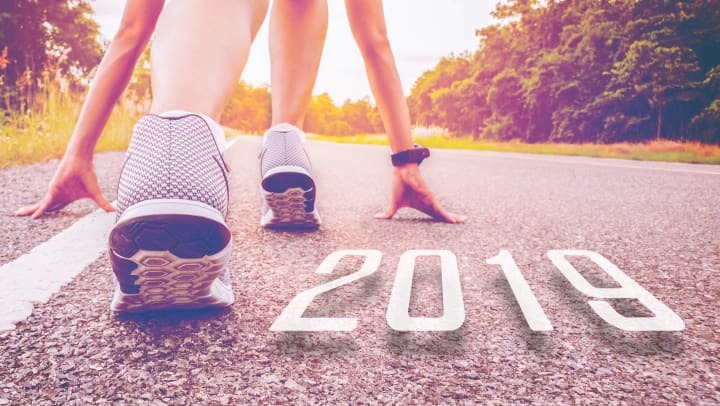 As you get ready to take on 2019, take a look at our tips for making it your most successful year yet! Before diving in, sometimes it’s helpful to look at what you have already accomplished. Maybe you got a new job, moved into your Delray Station apartment home, made a new friend, or went on a fun trip. Whatever you have to celebrate, take a minute to reflect on how much you’ve grown over the past year and what you hope to accomplish in the next one. Now that you’ve reflected on last year, what are you hoping to do in 2019? A vision board can help you organize your goals and desires. Gather up a large piece of posterboard, a variety of old magazines, scissors, and a glue stick or tape. Set aside a couple of hours, spread everything out on a table or the floor, take 10 minutes to make a list of things you want to do in the new year, and then start cutting out pictures you connect with. Once you have a stack of photos, start gluing or taping them into place. When you’re done, place your vision board somewhere where you will see it each day. Whether you call the accomplishments you hope to celebrate in 2019 resolutions or goals, you’ll be most likely to succeed if they’re realistic. Keep in mind that changing unhealthy behaviors, for instance, takes time, so if your goal is to eat healthier, use baby steps and make one change at a time. And, most important, don’t beat yourself up if you make a misstep – it happens to everyone. But don’t give up, either. Part of the accomplishment of reaching your goals is overcoming obstacles. Stay motivated to continue reaching your goals all year by rewarding yourself for each milestone you reach. If your goal is to save a certain amount each month toward a trip or a big purchase, you could celebrate each quarter with a fancy dinner. Or if you’re trying to lose 30 pounds, you might reward yourself every time you lose 5 pounds with one cheat meal. Don’t let the reward get out of control, but still take a moment to congratulate yourself on what you’ve accomplished. For more everyday life hacks, check out the Delray Station blog.